THE DETAIL - DO YOU PRACTICE LAW OR JUSTICE? In a world full of corruption, danger, and fear, who do you think you can truly trust to get you out of a very tight spot? The police, perhaps? The government? Or what about the Teletubbies? Ha! Don't make me laugh. 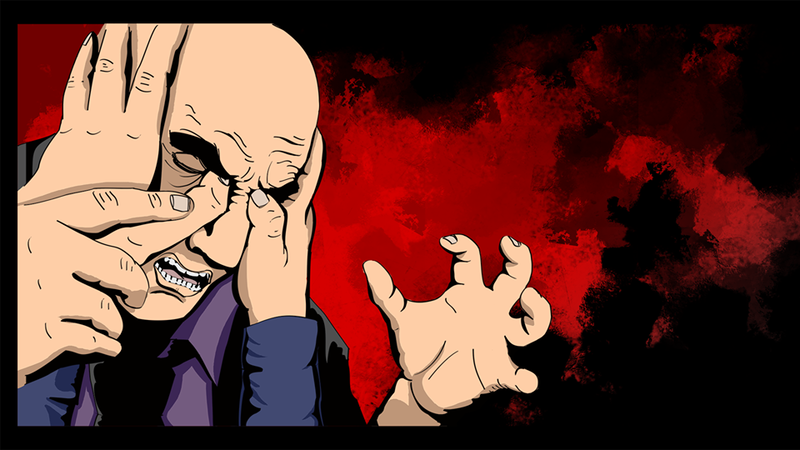 The only person that would be by your side is my pal Jukka, and he's made one hell of a great comic book styled video game. Here. Check this out. 1) What are your own origins, Jukka? Plus what is your role within ‘Rival Games’? To be completely honest, I finally graduated from the local university after seven years. However, I've been running Rival Games since the very beginning (about 30 months ago), so I guess that's a good excuse as any for the delay in my studies. Since co-founding the company I've been part of almost everything regarding the game itself or the business we are in. Nowadays as the CEO, I focus more on the bigger picture and future projects instead of 'The Detail'. When you have an excellent team in place full of passionate people, it's better to take some distance and let them do their magic. Not the easiest thing to do, since the idea for 'The Detail' was initially mine. But I want to deliver the best possible experience for the gamers, so having the best possible people working on it is kinda obvious at the end of the day. Working as the CEO hasn't been bad either, and I've done an okay job so far. Plenty to improve of course, personally and professionally. 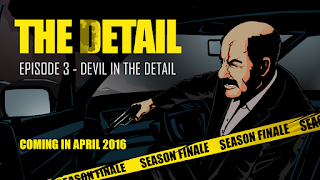 2) What inspired you to create ‘The Detail’ comic book and video game combo? I've always been a huge fan of comics (Miller, Moore, Jim Lee, etc. ), crime TV series (The Shield, The Wire, etc.) and video games. So mixing them together was kind of a no-brainer back then. I think I was watching the final episode of The Shield when the idea first came to me. Why hasn't anyone done this into a game (and I'm not talking about the action game done from the series)? A "realistic" crime drama, where the player is faced with tough moral choices we see in the news everyday? The comic style came in with our first prototype, since it was a way to make the game look and feel unique. Creating graphic panels instead of cut-scenes for storytelling has given us the opportunity to deliver a higher quality in visuals and plot. Especially compared to the teams size (13 at the moment). 3) In your own words how would you describe this tale? I'd say the tale starts off with the traditional elements seen in noir crime stories: a bitter homicide detective investigating a mysterious murder, where something seems to be a little off. From there onwards, the story introduces the pivotal characters rather quickly (being only the pilot episode after all) and gives the player the opportunity to start developing these characters in a way he or she likes. 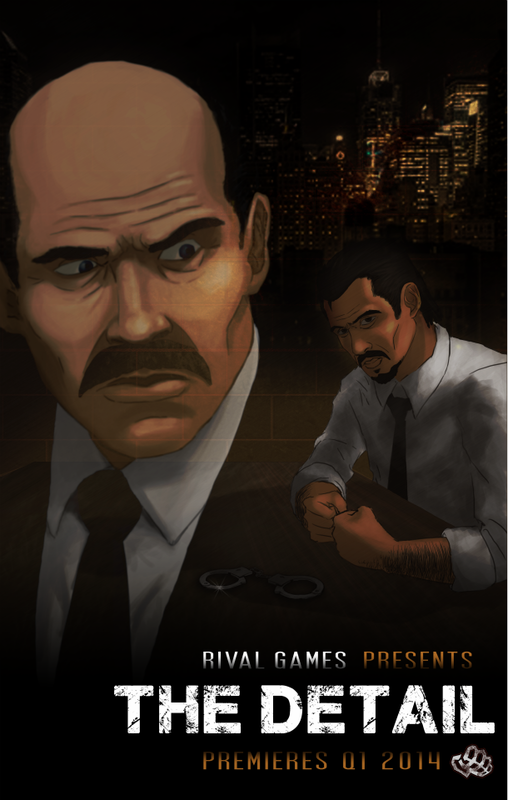 The overall story is best described as a modern crime drama, where the player's actions have consequences throughout the whole season. The path each character takes from start to finish is tailored by these actions. 4) What song would you say best represents this project and why? This is a tough question, but I'm going to go with The Heavy - What Makes a Good Man. 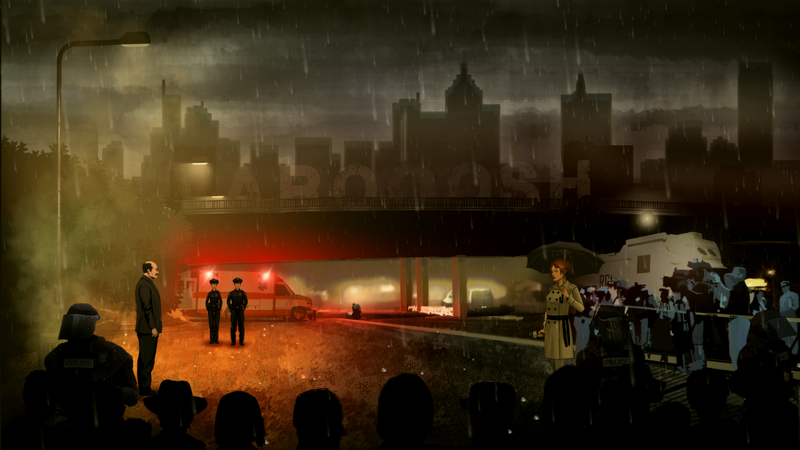 The game centers around moral dilemmas taken from everyday life, where the player is faced with the tough choices between law and justice. In the end, it all comes down to what makes a good man (in the player's own moral understanding). Having a badge doesn't make you one, nor hanging around with the wrong crowd. 5) If you could get a celebrity – either living or dead – to promote your wares, who would you choose, and why would you want to choose this particular person? 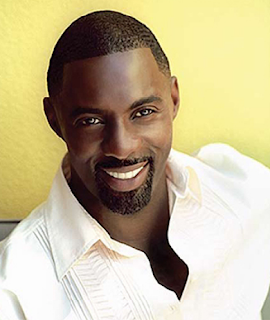 This is an easy one: Idris Elba. No question about it. He was one of the most memorable characters in The Wire and his newer production, Luther, is a superb cop series with similar themes as our game. He seems to be a rather interesting person off-stage as well, working with music among other things. 6) What have you learnt about yourself through this endeavour? I've learned a lot about myself and the way I work during these past 30 months. It is no secret that all forms of entertainment are partly done with passion, but I think in this line of work passion plays the major role. With passion, you have motivation. With motivation, you get stuff done. Through the passion and motivation the core team has shared since the first idea for The Detail, we've attracted talent and interest from various industry veterans to help us move forward. I won't lie: it has required a lot of hard work to get here, and I know that this is only the first step in our journey towards creating unique entertainment experiences for people to enjoy. I could say that I've learned more about creating entertainment and a business around it than I could have imagined. Which is of course true. However, the beauty of it is that I've just scratched the surface. The gaming industry is constantly changing, and if you can't change you're done. 7) During your time in this field, what is the one thing that has kept you in good stead? As I earlier said, passion for what I'm working on is the key. However, that passion tends to shift from time to time: I might get some rough feedback and feel pretty down for a while. Then a day later, some fan sends you an email, wanting to help with the production in any way possible just for the sheer love for the game itself. And I'm back, surfing that huge wave of passion even higher than before. 8) If ‘The Detail’ had a motto, what would it be? We do have the longer marketing speech version for this: "This is a city where cases matter, clearance rates matter, and on a good day even justice matters." But to boil it down to the core, I'd say the motto would be "Do you practice justice or law?" And on that note, dear reader, I'd like to thank Jukka for telling us about his great game, 'The Detail', as well as directing you towards his official website, facebook page, and twitter stream. Also, please feel free to download his app at Steam Store.